There are several additional hotels within walking distance of the Columbus Convention Center. Surface lot and garage parking is available starting at $12 per day. The Goodale Garage parking garage is the closest garage to the event site and is recommended. 66 E. Goodale St. Columbus, OH 43215. OhioHealth reserves the right to cancel or delay this course due to any unforeseen circumstances. In the event this meeting is canceled, OhioHealth will refund your registration fee. We are not responsible for any travel, hotel or other costs incurred. If a participant cancels, a refund of the conference fee minus a 25 percent administrative charge will be made if written notice of cancellation is received no later than May 3, 2019. No refunds will be granted after May 3, 2019. 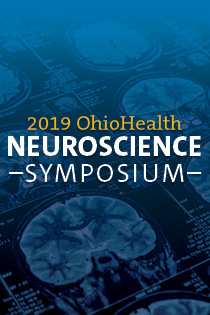 As an accredited CME provider, OhioHealth must ensure balance, independence, objectivity and scientific rigor in all educational activities we sponsor. Faculty and planners participating in sponsored activities must disclose any significant financial interests or other relationships. Any potential conflicts of interest will be resolved and revealed in the course syllabus. All commercial supporters of this activity will be acknowledged at the event and in the course syllabus. OhioHealth’s Office of Continuing Medical Education is fully accredited by the Ohio State Medical Association (OSMA) to award credit for the American Medical Association Physician's Recognition Award. OhioHealth Doctors Hospital is fully accredited by the American Osteopathic Association (AOA) to award credit for physicians. Breakout Session 2: Best Practice in Spine Care: Where Are We Now? Breakout Session 2: Imbalance/Dizziness in Post TBI: How Do We Know When Vision is the Culprit? Breakout Session 3: Does Intensity Matter in Stroke Rehabilitation?